Hear Tim Padgett's interview with South Florida and Caribbean rum connoisseurs. Bye-bye Blackbeard: Aged rums in snifters waiting to be tasted at the Miami Rum Fest. There was a time when rum was rotgut. Blackbeard the pirate liked to mix his cane alcohol with gunpowder and light it. Rum and croak. Fast forward a few centuries to rum respectability – specifically, to Rob Burr’s patio deck in Coral Gables. From the waterfall pond to the tiki bar, it sets a mood not for swilling rum but for tasting it. Not the way spring-breakers chug Captain Morgan but the way cognac drinkers sip Napoleon. Not with Coke (or gunpowder) but neat, in a snifter. The Burrs appraise all of it, pouring their notes into the authoritative Rob’s Rum Guide. That in turn helps set the stage for the annual Miami Rum Renaissance Festival, or Miami Rum Fest, which they’ll host this weekend at the Doubletree Hotel near Miami International Airport. The event, which drew 12,000 visitors last year, has become a central stage for what you might call the rum revolution – the recent ascent of high-end, premium rum. Don’t let the name Rum Fest fool you. It’s not a college beach bacchanal; it’s rum for grown-ups, for people who know that most aged rums today are distilled as masterfully as fine cognacs and single-malt Scotches. The trend is most of all a Caribbean coming-of-age party. There’s hardly a country or island in the basin these days that doesn’t produce an upmarket aged rum – whose prices can range from $25 to $250 or more per bottle. But if this is about a new boom in the spirits industry, it’s also about a new bond between the Caribbean and South Florida. Very little rum is actually made in Miami. Still, as the Rum Fest suggests, rum reputations are. The city today is rum’s premiere showcase, as evidenced by the more than 80 fine rums on the menu at Ortanique, a Caribbean restaurant in Coral Gables. Despite the almost cult following these rums are building in the 21st Century – reminiscent of the craze for The Glenlivet and similar silky Scotches at the end of the 20th – sales of premium rums aren’t yet blowing away cognacs or single-malts. But they’re rising year after year; and ironically, that’s partly because rum in general carries a younger, hipper cachet than those other spirits do. 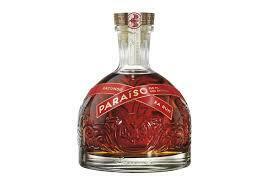 Bacardi Paraiso retails for $250. That may help explain why spirits giant Bacardi of Puerto Rico finally released its own line of premium aged rums last year, including Paraíso, which sells for $250. Imbibing rum the way wine connoisseurs savor Bordeaux might sound pretentious. But spend a tasting session with the Burr family and you do realize how rich and complex rum’s character can be when it’s not tied to a Mai Tai or when it’s liberated from a Cuba libre. But it’s rum. Vive la différence. 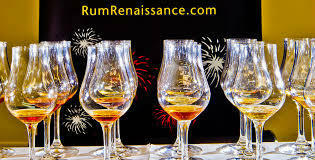 The Miami Rum Renaissance Festival will be held Friday, April 25, through Sunday, April 27, at the Doubletree by Hilton Miami Airport Convention Center. Daily general admission tickets are $50. Gabo And Gringos: Did Magical Realism Bridge Or Divide The Americas? Gabriel García Márquez, who died Thursday at age 87, provided one of the eerier moments of my journalism career. In 1996, a colleague and I had been conducting a series of interviews with the Colombian Nobel laureate about his newest book, called “News of a Kidnapping.” It was a nonfiction work on his country’s violent drug-crime culture. Shortly after García Márquez sent the final proofs to his publisher, I called him at his Mexico City home and he sounded shaken. If you needed any reminding of how archaic and clueless U.S. policy on Cuba can be – and the extent to which it so often actually aids an oppressive communist dictatorship – look no further than Thursday’s excellent Associated Press article about the “Cuban Twitter” fiasco.